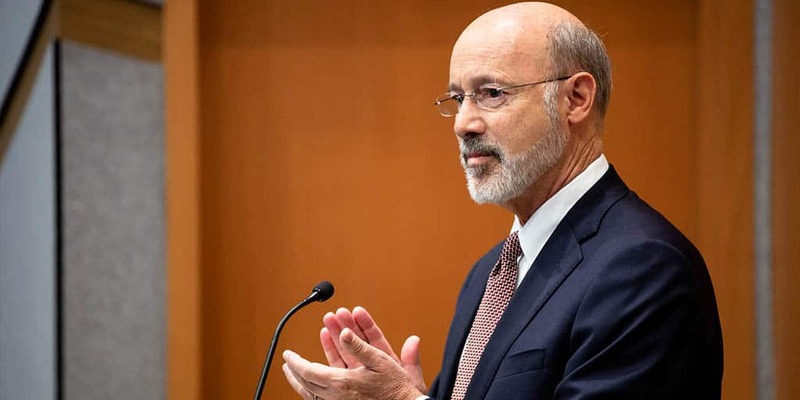 Harrisburg, PA – Today, Governor Tom Wolf announced the allocation of more than $1.5 million in funding to eight Pennsylvania municipalities for the 2018 Gun Violence Reduction Initiative. The funding was awarded through a competitive solicitation as part of a Pennsylvania Commission on Crime and Delinquency program to provide municipalities with funds to implement strategies resulting in the reduction of gun violence in communities. The City of McKeesport received $149,999 in funds to support gun violence reduction initiatives through the McKeesport Gun Violence Reduction Program (GVRP) – a multi-faceted approach that includes partnerships with the McKeesport Police Department, the Office of the District Attorney, Allegheny County Health Department, Allegheny County Juvenile Probation, Pennsylvania Adult Probation, Magisterial District Judge Riazzi, McKeesport Housing Authority, McKeesport School District, the Health Communities PartnerSHIP (State Health Improvement Plan), and area ministerium. This initiative includes the use of proactive policing strategies, youth and family interventions, and hiring of a community outreach specialist. GVRP will incorporate components of the evidence-based Boston Strategy and the What Works in Community Policing study. Funds from this grant will provide for personnel and consultant related costs, equipment, and outreach programs. The City of Pittsburgh received $250,000 to broaden the city’s existing Operation Ceasefire program and to increase the timeliness of investigative leads to law enforcement, via ballistic imaging technology by the Allegheny County Office of the Medical Examiner (ACOME). The addition of six Operation Ceasefire outreach workers will allow for reach to additional zones of the city and to further address violence by expanding the program to include a significant prevention component of outreach and referral aimed toward all at-risk youth and their families. The ACOME-related initiative will use capacity enhancement and provide for staff overtime, which will allow ACOME to operate in real-time and start work on cases the day of submission. Johnstown City received $150,000 to support the implementation of the Cure Violence (CV) program. The program will help strengthen the local community and region by expanding engagements, supporting collaborations, and embracing a global perspective that addresses violence plaguing Greater Johnstown. Building strong communities involves mobilizing a diverse range of resources to address key issues. The CV program promotes the ideals of diversity and inclusion by addressing pressing community needs in the most economically and racially diverse city in Southwest Pennsylvania. Funds will support training, consultants (to include a Program Coordinator, two part-time Violence Interrupters and an Outreach Caseworker), and health club memberships for families. Erie City received $148,141 to work in partnership with Unified Erie and the City of Erie School District to expand gun violence reduction strategies by implementing evidence-based programs like Operation Ceasefire, and in line with the Group Violence Reduction Strategy and the Chronic Violent Offender Strategy. Program initiatives will include the development of an assessment to integrate school data to identify youth with risk indicators for school violence; data collection and analysis of key gun violence indicators; the addition of a Community Coordinator working with the Erie Police Department; cooperation between the law enforcement community and multi-disciplinary teams to plan and implement intervention meetings with individuals identified through the risk assessment and data collection efforts. Funding from this grant will fund Mercyhurst University as a research partner, consultant fees, compensation for a Community Coordinator, and city law enforcement personnel costs. Allentown City received $150,000 to implement Allentown Cure Violence through a partnership with Promise Neighborhoods of the Lehigh Valley, a local non-profit organization, which will provide project administration and the Executive Director will lead a project steering committee comprised of professionals representing a range of municipal offices and organizations and members of community and faith-based organizations. The goal of the Allentown Cure Violence initiative is to develop a program structure to address gun violence and reduce the number of gun-related offenses in Allentown City. Funds will provide for an initial assessment and training and technical support provided by the national Cure Violence organization; program affiliated administration, supplies, meeting and outreach activities incurred by Promise Neighborhoods of the Lehigh Valley; and personnel costs and travel affiliated with the same. Philadelphia City Treasurer received $500,000 to support the expansion of the Community Crisis Intervention Program (CCIP) in the most violent neighborhoods in the city and provide direct funding in the form of micro-grants to several community-based organizations citywide to help meet the needs of young men most at risk for gun violence. CCIP is a promising approach that is based on the nationally recognized Crisis Intervention Network. Similar to the Crisis Intervention Network and the Cure Violence Health Model, CCIP uses credible messengers who are indigenous to Philadelphia’s most violent neighborhoods as outreach workers. Funds will support salary and benefits for a Program Specialist and five Crisis Responders, training, administrative fees and micro grants. The City of Monessen received $24,013 to support training, outreach, and referral services through a collaboration with California University of Pennsylvania to reduce gun violence. Program objectives include an interdisciplinary approach of education, community awareness and outreach, and utilizing established programs and services. The leadership of the CTC, Monessen Schools, the Mayor’s Office, the Chief of Police and a Police Liaison Officer, and the Project Coordinator will collaborate to create a gun violence presentation program that will train essential community insiders. The community insiders will collaborate to create a program that will be inclusive of the following services: Drug and Alcohol Awareness and Counselling, Mental Health Awareness, Applied Suicide Intervention Skills Training, Social Norms Campaign, Belle Vernon Area Reality Tour and Keeping it Real and Rural. Funds will support wages for Project Coordinator, Program Assistants and training materials. York City received $150,000 to support the implementation of evidence-based and promising practices resulting in the reduction of gun violence in the community. The project will focus on building the community’s capacity to implement a comprehensive plan to address the factors that contribute to violent crime. This goal is based on the evidence-based Milwaukee Homicide Review Commission (MHRC) initiative. Funds will support overtime wages for police officers, training, program supplies, consultants (GVI Coordinator and data mining), and community outreach activities. Funding for the 2018 Gun Violence Reduction Initiative was available as follows: Municipalities with population size of 500,000 or more were eligible to apply for up to $500,000; municipalities with population size of 250,000 to 499,999 were eligible to apply for up to $250,000; and municipalities with population of up to 249,999 were eligible to apply for up to $150,000. The initiative received broad support from General Assembly members, including from the Legislative Black Caucus. For more information on the 2018 Gun Violence Reduction Initiative, visit the Pennsylvania Commission on Crime and Delinquency website: https://www.pccd.pa.gov/AboutUs/Pages/Press%20Releases/Governor-Wolf-and-Pennsylvania-Legislative-Black-Caucus-Take-Action-to-Reduce-Gun-Violence-.aspx.